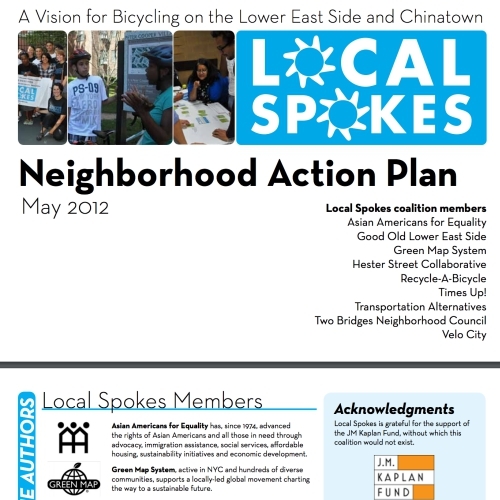 In 2011 - 2013, Green Map took part in a unique coalition to promote equitable access to bicycling in the neighborhood where we are based. 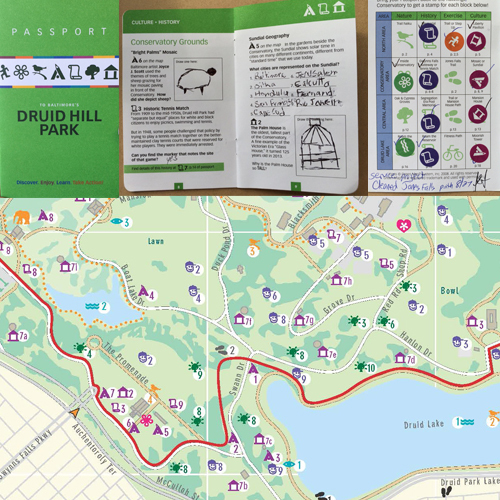 What does bicycling have to do with mapping? 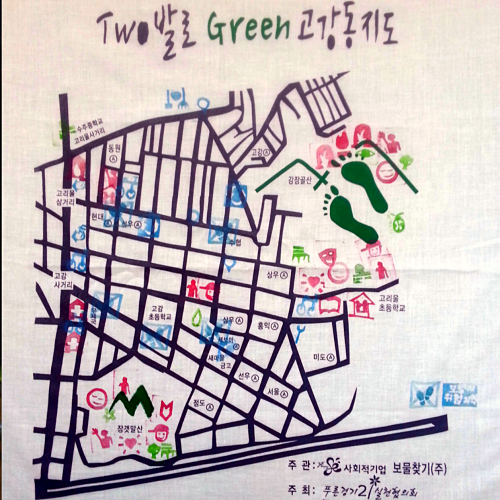 We had already made Green Maps with some of Local Spoke's 9 member organizations, including Recycle a Bicycle and Velo City (scroll down to see their editions here). 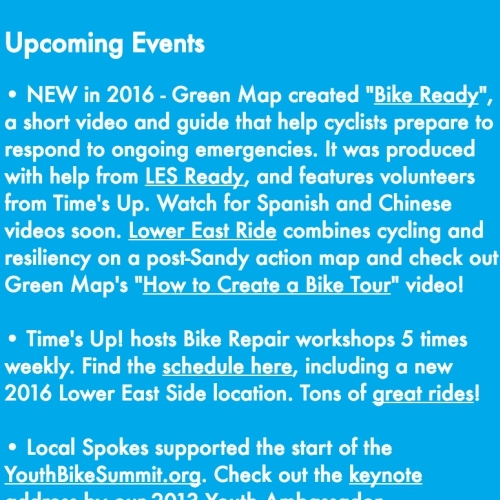 Our popular Green Map Bike Tours have featured this area, and we later produced the Lower East Ride Green Map and the video Bike Ready and and climate action tours (check out the video on the bottom called How to Create a Green Map Bike Tour. We have always supported the idea of 'green culture centers' and when we saw the RFP for a bike hub, we jumped in! Green Map chaired the Communications committee and managed the website, branding, production of outreach materials, videos and more. 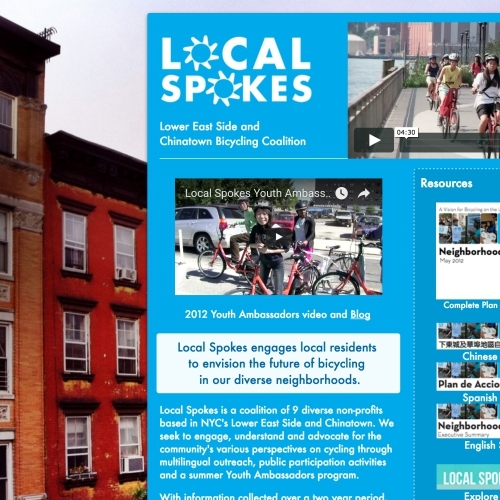 In fact, everything we produced is online at Local Spokes. Important outcomes include reduced cost Citibike memberships for NYCHA residents and LES credit union members, the Lower East Ride map to support bikeshare users without smart phones, a pilot mobile bike repair service, and most importantly, a more diverse ridership throughout the community. We are still working towards a Bike Hub, ideally for the Stanton Building in Sara D Roosevelt Park, once it is returned to the community.